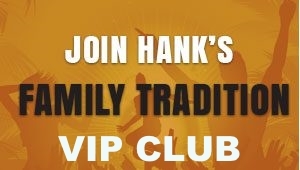 In addition to General Contest Rules, at the end of the specified contest window, a winner or winners will be selected at random from all members of Hank’s Family Reunion VIP Club. 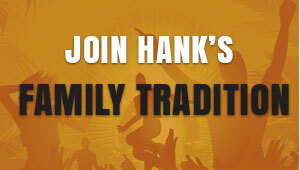 If the winner selected was referred to enter by a friend, whose name was included on the winner’s club entry form, the winner and the friend who referred the winner will win the prize. If the winner was not referred by a friend, as indicated on the winner’s club entry form, only the selected winner will win the prize.